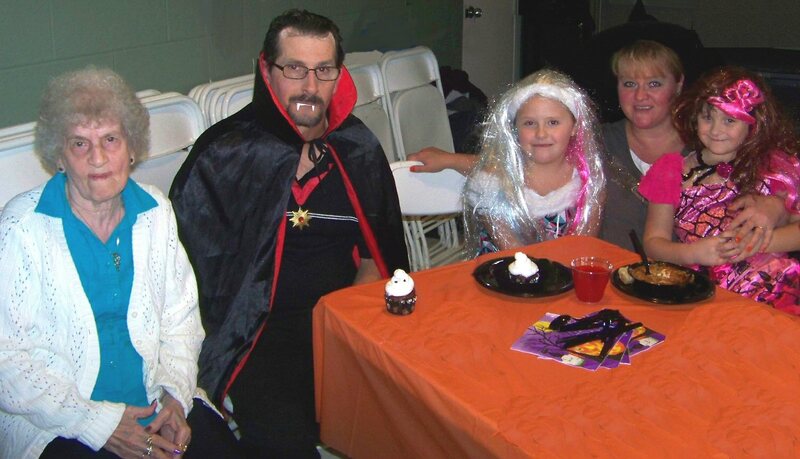 OSWEGO, NY – Halloween came a little early to Morningstar Residential Care Center as residents enjoyed a costume party and luncheon with family and friends. Morningstar resident Hazel Holmes with her son and daughter-in-law, Thomas and Shari Holmes and her grandchildren, Cascidy and Jillian. The party is the first of many Halloween themed activities that Morningstar Residential Care has planned for its residents.